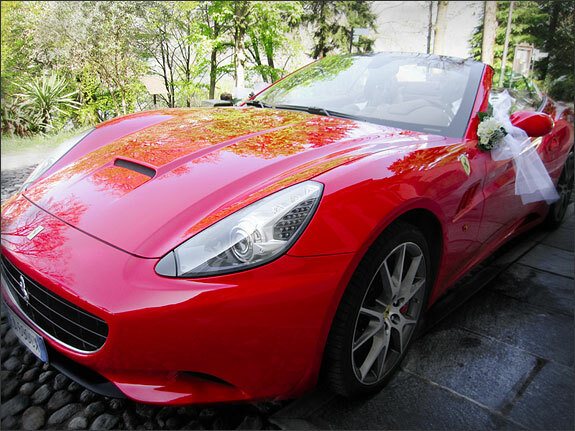 It certainly doesn’t happen every day to decorate a Ferrari for a wedding. 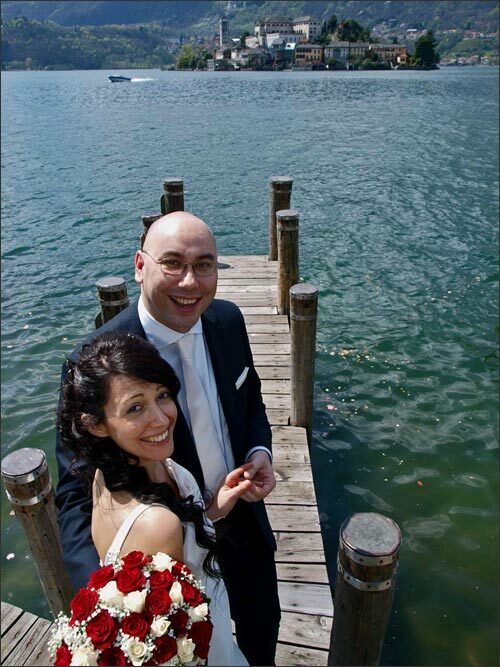 But a few days ago this is exactly what I did for Elena and Giorgio’s wedding on Lake Orta. 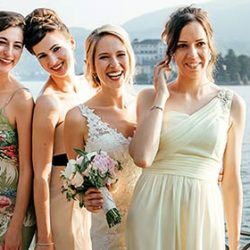 Elena and Giorgio tied the knot on a lovely warm April day, just perfect for a photographic tour of the lake thanks to the motorboat their chosen location for the reception, the Hotel Ristorante L’Approdo, made available to them. 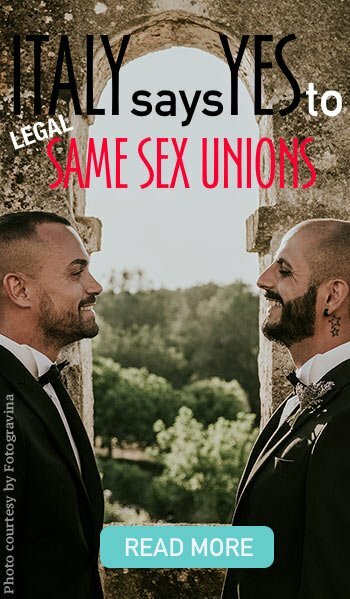 Although it is just a few days since the event, I am delighted to be able to show you a preview of their photographs, thank to the rapid work of Raffaello Mazzoleni of Studio ArteFoto Omegna. In fact the rapid delivery he ensures is photographer Raffaello Mazzoleni’s winning card as he will hand over the DVD of a wedding in a maximum of three days and at a very competitive price too, especially considering that he is one of a small number of Italian professional photographers who belong to the WPJA, the prestigious American association which makes a worldwide selection among the finest photographers operating in journalism and weddings. 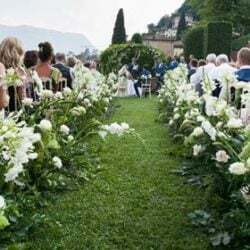 I was the flower designer who organised the decorations for the civil wedding ceremony, for the bride and for the table centres at the Hotel Ristorante L’Approdo. 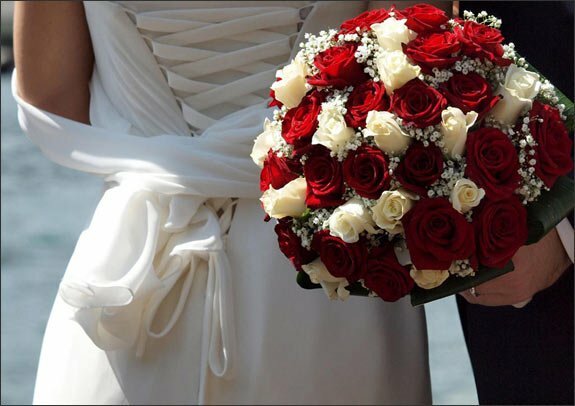 Elena wanted red and white as her colours and chose the rose as her principal flower. 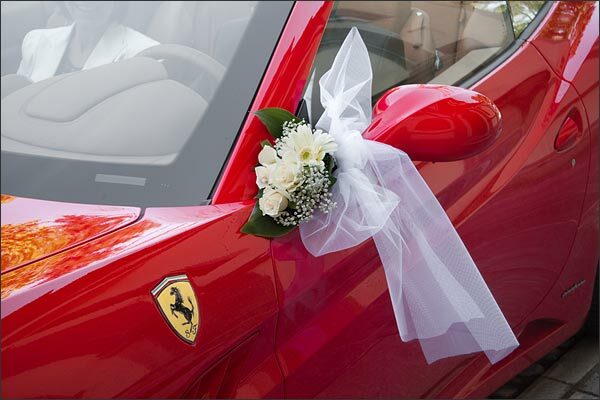 I was telling you about the decoration of the legendary Ferrari, although it was in fact quite a minimal decoration so as not to distract attention from the bride and the famous red car, the superb Ferrari California, the latest new model out and the car chosen to take the bride to the ceremony. Talk about arriving in style! The Ferrari is without doubt the ultimate symbol of truly Italian style and aplomb, a true winner enjoying victory after victory at the hands of top drivers, among whom Michael Schumacher, Phil Hill, Niki Lauda and Gilles Villeneuve. 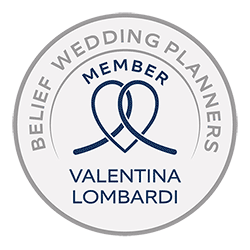 After arrival at Orta San Giulio on board the Ferrari, admired by the curious tourists crowding the the medieval village, Elena and Giorgio strolled around the romantic cobbled little streets of Orta, an ideal place for timeless wedding pictures. And then … the feast! 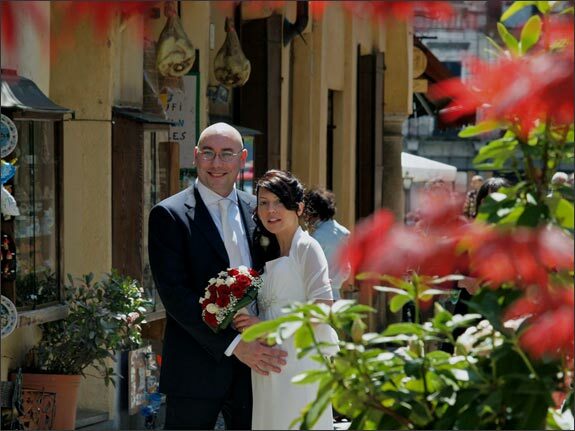 Elena and Giorgio chose the widely acclaimed cuisine and stunning location of the Hotel Approdo at Pettenasco. 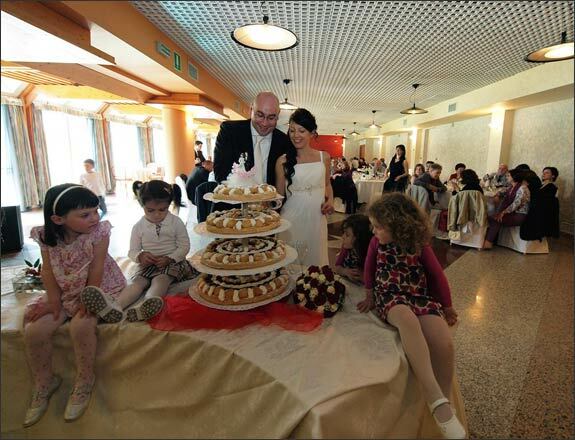 The photo shows the cutting of the cake which had no less than four tiers and was prepared by the skilful pastry chefs at the Hotel Ristorante L’Approdo. 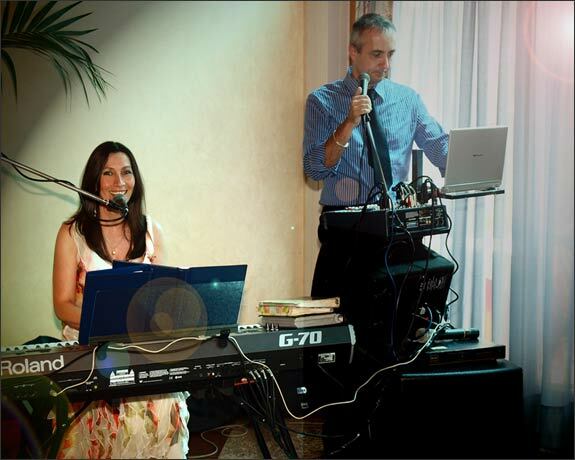 The reception was accompanied by music from the duo SG sound: Giovanna accompanies Stefano’s voice with her versatile keyboard. 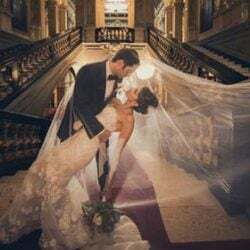 They are a superb duo who are able to play a fine selection of music for all tastes and occasions, from piano bar to the latest hits, both Italian and international. 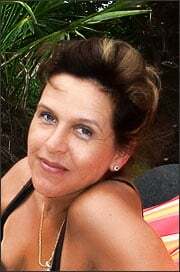 With Giovanna and Stefano your guests are guaranteed the top in entertainment! 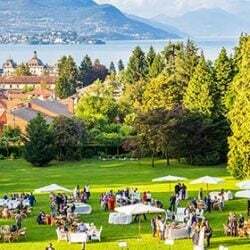 Best wishes go to Elena and Giorgio from the Hotel L’Approdo, the photographer Raffaello Mazzoleni, the duo SG sound and the florists La Piccola Selva. 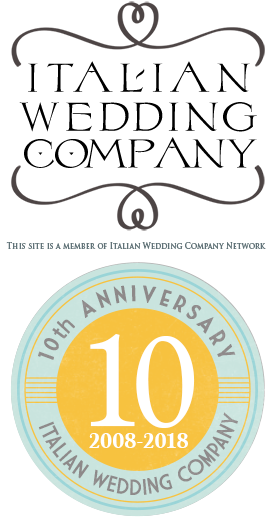 As well as our thanks for having been chosen for their Most Important Day on Lake Orta!